What Are Some Useful Web Publishing Tools for Online Casinos? What are Web Publishing Concepts? The journey of online business begins the moment the website is published. This is the most crucial step, and everything else begins to fall into place slowly. For the web publishing process to be successful, here are four very basic things that should be researched and understood. The domain is the site’s man address and also the name of the website. Every site has a unique domain name which one has to buy from a trusted dealer. The domain name is what enables internet users to find any website they want. It is important to know what it is all about, how to buy it and how to use it. Site URLs are the different links that lead to different pages on the website, social networks and different parts of a page on a website. Know how to link clients to the business’s Facebook page and LinkedIn page. Make sure that the link to the ‘contact’ or ‘about’ page leads one to the ‘about’ page and does not display the ‘404 error’ message. For a website to be fully published, it needs a web host where all the site’s files and data will be stored. 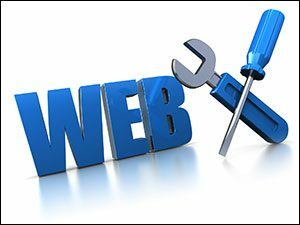 The perfect web host should be able to provide ample space for storage and customer support all around the clock. It should also be affordable and the hosting fees paid yearly should be within one’s budget. When the website is up and running, it is time to add some content to it. Regardless of whether it is full of articles or sells products only, the rules of plagiarism apply. Google is very strict when it comes to the unlawful use of other people’s content. Launching a website is no easy feat. However, with the right information, it can all run smoothly. Even if one hires a professional, it is always good to know the basics. Copyright © 2019 gtwebpublisher.co.uk. All Rights Reserved.